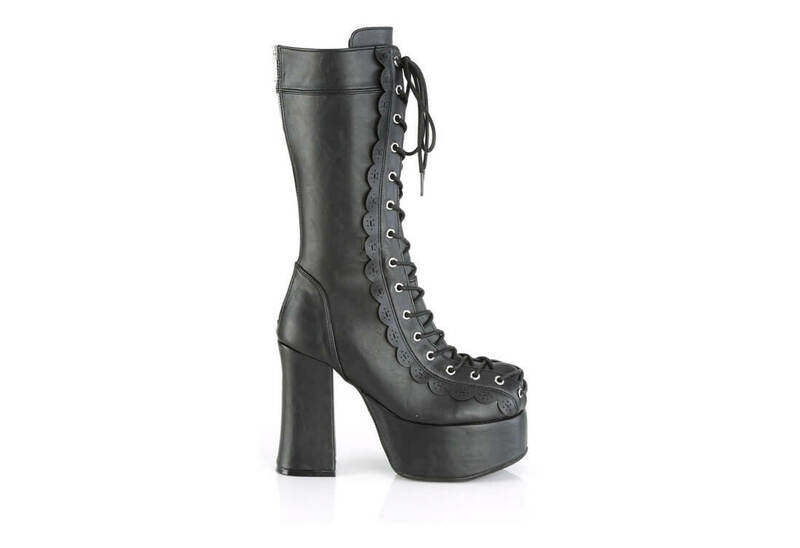 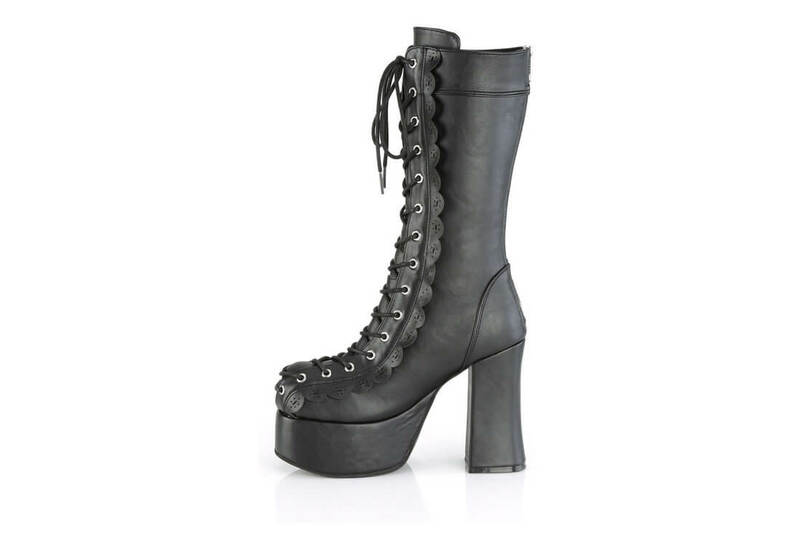 These gorgeous platform boots feature a lace-up front that extends to the front of the toe. 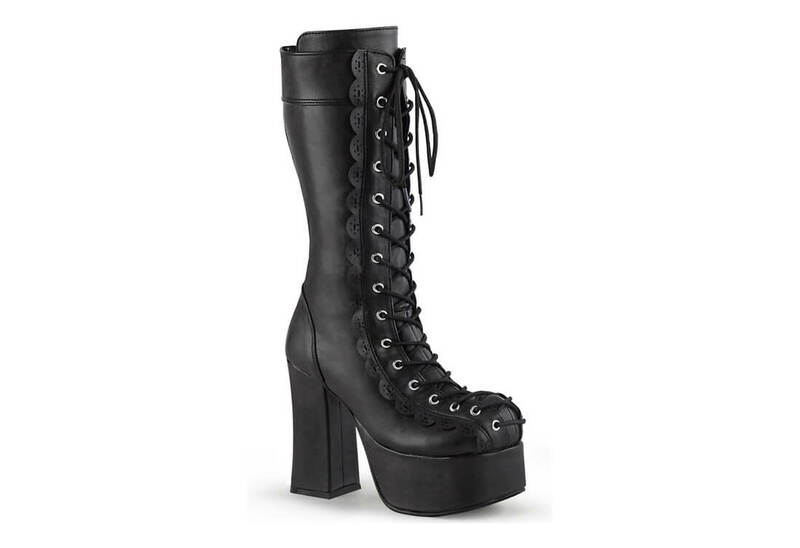 The Charade-130 has a 4 1/2 inch block heel with a 2 inch platform. 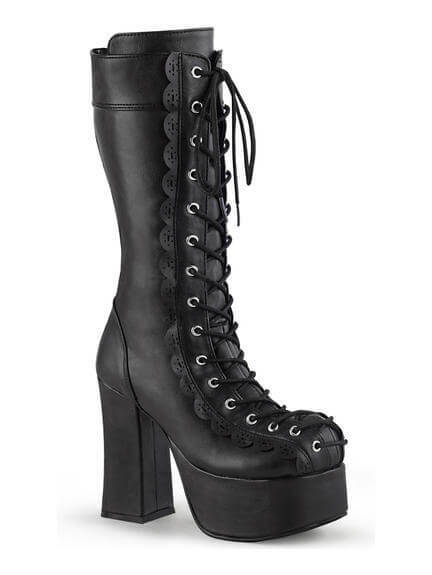 Comes with a full back zipper.